No matter your age or skill level, 65-70% of your shots in a round of golf come within 100 yards of the pin. With a statistic like that, you could say it’s pretty important to hone your skills with the shorter clubs in your hands. For most amateurs, learning how to improve short game swing mechanics just takes repetition and a solid understanding of distance control. 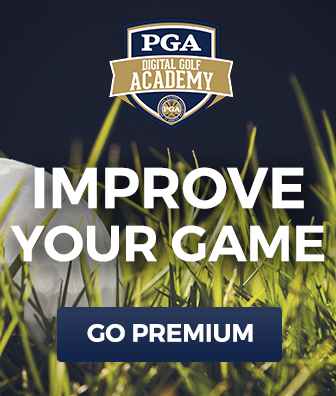 PGA Professional Bill Forrest believes newcomers to the game should work their way up from short game to longer shots in order to get a sense of swing pacing and distance. 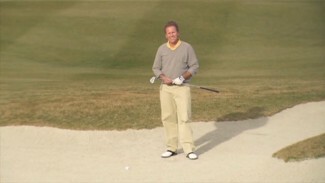 In this video, Bill demonstrates the proper components of those shots that require a smaller swing and deft touch, and teaches you some expert tips for how to improve short game swing technique. Next time you watch the professionals work their short game magic, pay close attention to the pace and length of their swing. 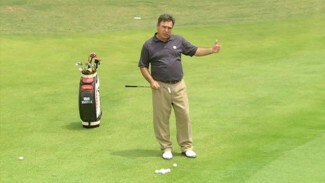 You’ll notice that they don’t put full, aggressive swings on the shots that require soft touch, which is the concept that Bill stresses most in teaching how to improve short game swing mechanics. He recommends going to the range and working over and over on short game shots of various lengths, progressing in distance and trying to nail your target each time. Here’s how to improve short game swings: Get your stance down first, then try to replicate the same smooth swing stroke after stroke. See what happens when you swing just a little bit harder and pull the club back just a little bit farther–chances are you’ll find that the slightest change in pace and length of your swing makes a huge difference. Once you feel comfortable with the short and mid-range shots, try taking a fuller swing to become more precise on those longer wedge shots. You’ll be spending a lot of time with the wedge each round, so it’s best to get comfortable with the short club in your hands!